Here’s a perfect example of how tax software doesn’t replace a knowledgeable CPA. 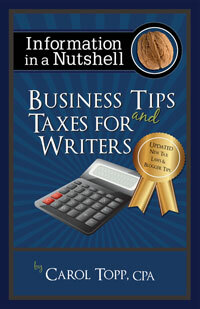 When should a writer consider hiring a CPA? What really frustrates a CPA during tax season? The IRS is now (make that was) requiring that everyone who prepares a tax return for a fee to register with the IRS. When should I hire a CPA for my writing business?